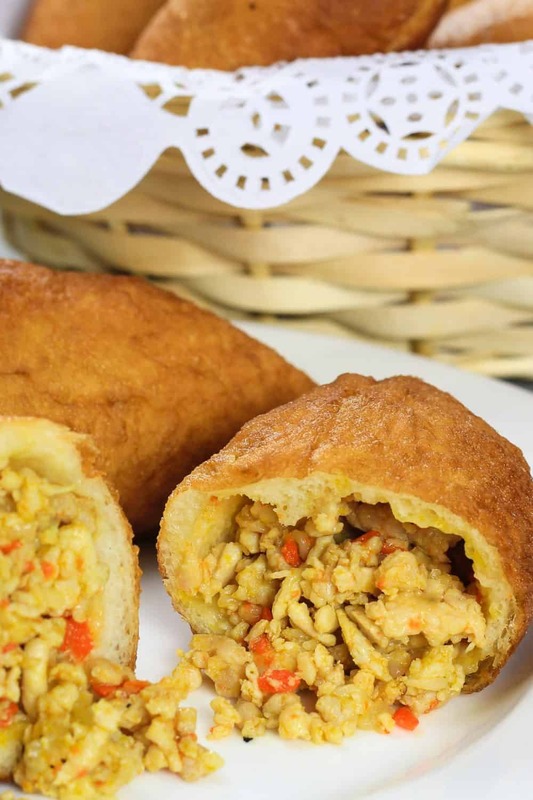 This Fried Ukrainian Piroshki Recipe takes your tastebuds back to the roots of Ukrainian and Russian food culture. Make this easy to create recipe today to share new flavors with friends and family. Tip: For a full balanced meal, serve our piroshki recipe with my Carrot Salad Recipe. Piroshki is a well known traditional Russian/Ukrainian appetizer. I created this easy version of piroshki because the dough is already made. There is no secret that I love a good semi-homemade recipe that reminds me of my roots. With this particular version, I can enjoy those flavors without spending hours in the kitchen making homemade dough. Tips When making a recipe that includes finely diced vegetables, you can speed up the process by using a food processor to pulverize the vegetables before cooking. This saves both time, and frustration. Plus, it makes it easier to hide veggies from children. 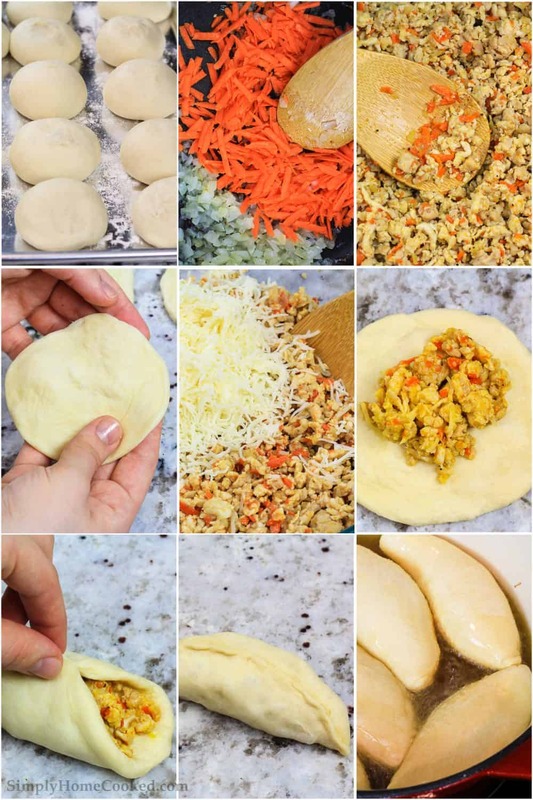 Using frozen dinner roll dough, you will roll each out as directed to create a flat circle to fill with the piroshki recipe filling. 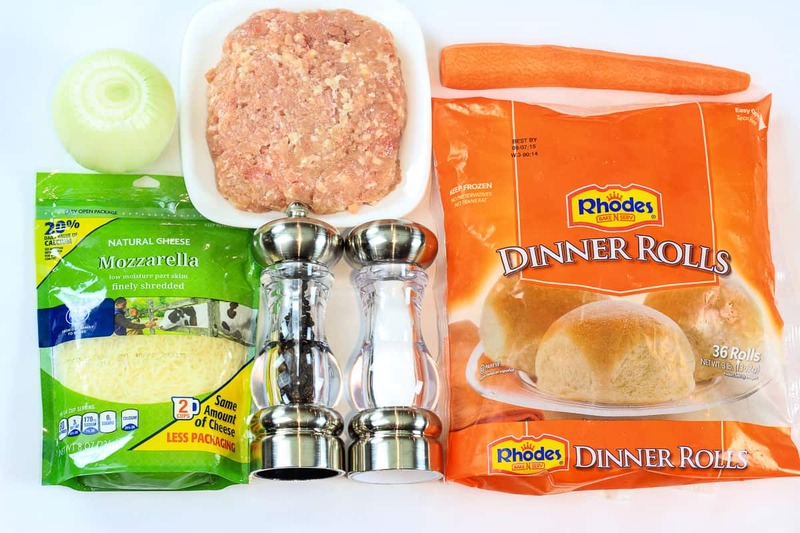 Follow the directions in the printable recipe for cooking vegetables and ground turkey until cooked through. Combine the turkey and vegetable mixture with cheese. Next, add the mixture by spoonfuls onto the rolled dough before forming a half moon shape. Fry as directed and then drain on a baking sheet lined with paper towels or butcher paper to remove any excess oil before serving. The half moon shape is traditional. You can make this into a circle if that is easier for you to create because no matter the shape, it is the flavor and filling that is most important for this recipe. I love sharing the family heritage with others, and love hearing feedback on what people think of them after trying a new recipe. This piroshki recipe is just one of many I have featured here. If you are interested in trying recipes that are commonplace in Russia or Ukraine, check out the recipes I have linked below. You are sure to enjoy these recipes with your friends and with your family. Experimenting with different cultural traditions is a great way to expand a menu plan. Place 20 dinner rolls on a lightly floured cookie sheet, and cover with plastic wrap. Let the dough thaw and proof for at least 1 hour at room temperature. Meanwhile, heat olive oil in a medium skillet and sauté onions until they become translucent. Add in the shredded carrot and cook until it begins to soften. Add in the ground turkey breast and keep stirring until it's fully cooked. Mix in the shredded mozzarella and season with salt and pepper to taste. Flatten each dinner roll into a disk, making sure to leave the middle a little thicker than the edges. 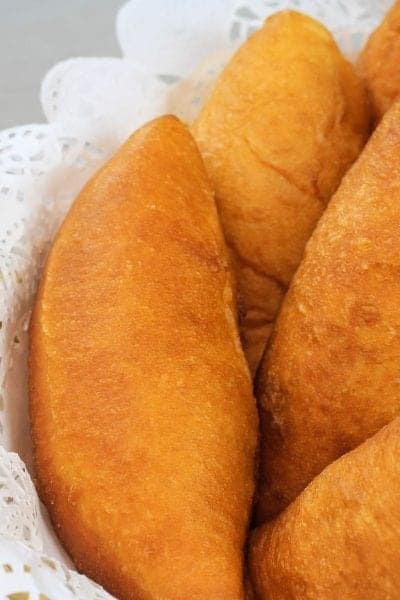 Fill each flattened dinner roll with 1 heaping tablespoon of the meat filling and pinch the edges of the dough together to make a half moon shape. To ensure that the edges are pinched well, I go around a second time folding over the edge and pinching them again. Once all the piroshki are closed up, let them proof for another 30 minutes at room temperature. Fill a heavy bottomed pot or pan with about 2 inches of corn oil and heat it over thigh heat. Deep fry the pirushki for 2 minutes on each side or until golden brown. these look mouthwatering! where did you get the dough? Thank you Jesica 🙂 I bought them at Fred Meyer. I believe Safeway should have them too. These are amazing! Thank you so very much for making them for my last day in the ED! Super yummy & my kids loved them too! I have loved working with your husband. He a smart & compassionate nurse and has a great sense of humor. I will miss the pictures and stories he shares of his girls! Betsy I’m so glad you all enjoyed the piroshki! Mikhail told me great things about you, he will definitely miss you in the ER. Thank you for your feedback Dasha 🙂 Glad you enjoyed them. I’ve never made piroshki simply because I don’t want to deal with the dough. This looks completely doable. I love it that you have pictures with each step, I am a visual learner. I think you will really like this recipe. Although the dough isn’t made from scratch, it still has a very homemade taste, and its such a time saver! Oh I have been doing the “easy” version for a few years now too. Our usual fillings are mashed potatoes and golden fried onion(hubbys fav), apples (my fav) and sometimes with boiled egg and green onion. Yum! That sounds delicious! I love them with mashed potatoes too 🙂 Have you been using Rhodes dinner rolls as well, or another kind of dough? These look good! im guessing using chicken for the filling instead of turkey will work too? Thank you 🙂 Yes, chicken will work just as good.